Good decision-making is at the heart of every successful organisation. So, for leaders, it’s useful to understand a little more about how decision-making works – and what are some of the main obstacles to it. 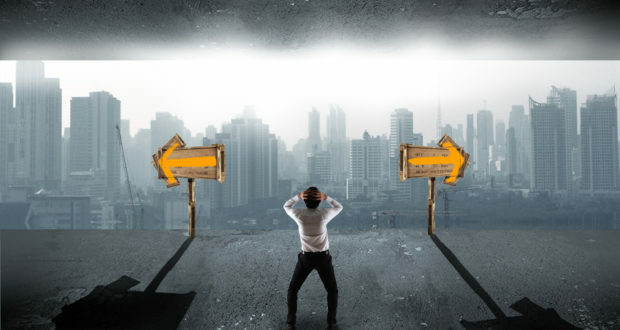 Thankfully, advances in neuroscience in recent years have helped shed light on how people arrive at decisions; below we look at three of the main impediments to coherent decision-making, as uncovered by neuroscience. When we perceive threat, the more ‘primitive’ parts of our brain tend to take over as we go into a stress-response mode. This is the ‘fight or flight’ mentality. We still make a decision, and it can even be the right one in the circumstances: to run away from a loud bang, for instance. However, in the workplace, physical threats (which our primitive brains are generally well-attuned to responding to) are few and far between. The threats we perceive are more likely to be to our reputation, our job security, or other such factors. The response in the brain, though, is the same: cortisol is released, which speeds up the heart rate, and the more executive-thinking parts of our brain (which we often need to engage in workplace decisions) are essentially hijacked by the threat response. Where there is perceived threat, therefore, good decision-making is unlikely. Human memory is very different to computer memory. Data is not just entered, stored, and retrievable in the same format, as needed. The data in our memories changes over time! That’s because human memory is subject to influences and biases, and is far more complex. You will have experienced what can happen to memory when asking someone to recount the same event at different times. The two accounts are not usually identical. Memory is heavily influenced by our ego; most people will naturally adjust memories in order to protect their sense of self- value, rather than have 100 percent truthful recollections. This is sometimes called the ‘self-serving bias’, and is just one of the many biases that can affect our decision-making. Rational judgment and decision-making becomes even more difficult when we are subject to any of the many cognitive biases just mentioned. These can be powerful influences, leading us to make poor decisions – even when we know that we are being irrational. You can probably recognise some of the above biases in others – how about in yourself? Being aware of the three factors above is the first step to making better decisions. If we understand the potential threats to clear thought during the decision-making process, we can recognise when they are hijacking our brains! The NeuroPower Group is at the forefront of introducing new approaches to organisational development through the findings of neuroscience. We apply them to all types of businesses, developing high performing teams and enhancing leadership. Find out more at our website: http://www.neuropowergroup.com.